In this paper, we describe the design and development process used to create Alien Rescue, a new media-enhanced learning environment that supports problem-based learning (PBL) in middle school science. A unique characteristic of the project is that it is developed entirely by a team of graduate students in learning technologies, working under the direction and supervision of the faculty. Throughout the development process, graduate student developers learn steps and strategies for designing immersive learning environments, engage in technology development, and conduct research that informs future design iterations. Key features of the development model are described in detail and developers’ reflections are shared. Liu, M., Horton, L., Lee, J., Kang, J., Liu, S., Myers, R. & Maxwell, A. (2015). 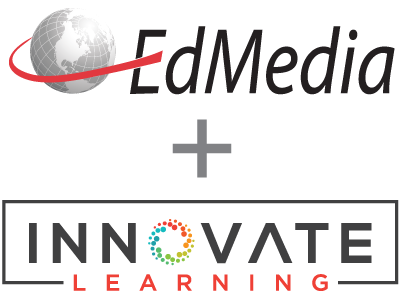 Designing a New Media Enhanced Learning Environment: Our Development Model. In S. Carliner, C. Fulford & N. Ostashewski (Eds. ), Proceedings of EdMedia 2015--World Conference on Educational Media and Technology (pp. 171-181). Montreal, Quebec, Canada: Association for the Advancement of Computing in Education (AACE). Retrieved April 26, 2019 from https://www.learntechlib.org/primary/p/151598/. Barrows, H.S. (1996). Problem-based learning in medicine and beyond: A brief overview. New Directions for Teaching and Learning, 68, 3-12. Http://dx.doi.org/10.1002/tl.37219966804Brown,A.L. (1992).DesignExperiments: Theoretical and Methodological Challenges in Creating Complex Interventions in Classroom Settings. Journal of the Learning Sciences, 2(2), 141-178. Design-Based Research Collective. (2003). Design-based research: An emerging paradigm for educational inquiry. Educational Researcher, 32(1), 5-8, 35-37. Galton (2009). Moving to secondary school: Initial encounters and their effects. Perspectives on Education, 2(Primary-secondary Transfer in Science), 5–21. Lepper, M.R., Iyengar, S.S., & Corpus, J.H. (2005). Intrinsic and extrinsic motivational orientations in the classroom: Age differences and academic correlates. Journal of Educational Psychology, 97(2), 184–196. Li, R. & Liu, M. (2008). The Effects of Using A Computer Database Tool on Middle School Students’ Cognitive Skill Acquisition in A Multimedia Learning Environment. In R. Kobayashi, (Ed.) New Educational Technology (pp.67-88). Hauppauge, NY: Nova Science Publishers, Inc.
Liu, M., Horton, L., Kang, J., Kimmons, R. And Lee, J. (2013). Using a Ludic Simulation to Make Learning of Middle School Space Science Fun. The International Journal of Gaming and Computer-Mediated Simulations, 5(1). 66-86. Liu, M., Horton, L., Kimmons, R., Anderson, M., Lee, J., Rosenblum, J., Toprac, P., Li, Y. & Sung, W. (2010). The Design and Development of a Media Rich Learning Environment: A Learners-asDesigners model. In Proceedings of World Conference on Educational Multimedia, Hypermedia and Telecommunications 2010 (pp. 213-222). Chesapeake, VA: AACE. Liu, M, Horton, L., Olmanson, J. & Toprac, P. (2011). A Study of Learning and Motivation in A New Media Enriched Environment For Middle School Science, Educational Technology Research and Development, 59(2), 249-266. Doi:10.1007/s11423-011-9192-7. Liu, M., Kishi, C., & Rhoads, S. (2007). Strategies& Heuristics for novice instructional designers as they work with faculty content experts in a university setting. In M. Keppell, (Ed.) Instructional Design: Case Studies in Communities of Practice (pp. 36-67). Hershey, PA: Idea Group Inc.
Liu, M., Rosenblum, J., Horton, L., & Kang, J. (2014). Designing Science Learning with Game-Based Approaches. Computers in the School, 31(1/2), 84-102. McKenney, S. & Reeves, T. (2012). Conducting Educational Design Research. New York, NY: Routledge. Mergendoller, J.R., Maxwell, N.L., & Bellisimo, Y. (2006). The effectiveness of problem-based instruction: A comparative study of instructional methods and student characteristics. Interdisciplinary Journal of Problem-based Learning, 1(2), 49-69. Savery, J.S. (2006). Overview of PBL: Definitions and distinctions. Interdisciplinary Journal of Problembased Learning, 1(1), 9-20. Http://dx.doi.org/10.7771/1541-5015.1002.